1. Training on “Statistical Methods for Agricultural Research” at GTI, BAU, Mymensingh, Bangladesh. From May 29 to June 10, 2004. 2. Training on “Web Page Designing and Hosting” at GTI, BAU, Mymensingh, Bangladesh. Feb 26 to 28, 2006. 4. Training on “Resource Management through Geographical Information System (GIS) and Remote Sensing (RS)” at Dept. of Aquaculture, BAU, Mymensingh, Bangladesh. From July 20 to 23, 2009. 5. Training course on “Teaching-Learning, Curriculum & Quality Assurance for University Teachers” at GTI, BAU, Mymensingh, Bangladesh. From Sept. 23 to 28, 2014. 1. S. Aditya, M. Ahammed, S.H. Jang and S.J. Ohh. 2017. Eﬀects of dietary onion (Allium cepa) extract supplementation on performance, apparent total tract retention of nutrients, blood profile and meat quality of broiler chicks. Asian-Australasian Journal of Animal Sciences, 30(2): 229-235. 2. M. Rahman, M. Ahammed, M.E. Hossain, M.A.R. Howlider and A.K.M.A. Kabir. 2017. Effect of Sal (Shorea robusta) seed meal on growth and carcass quality in broiler. Bangladesh Journal of Animal Science, vol. 46(1): 10-16. 3. M. Ahammed, B. Keohavong, D.M. Kim, S.J. Lee and S.J. Ohh. 2017. Effect of dietary feed additives for extending egg production without forced molting practice in welfare aviary. Brazilian Journal of Poultry Science. (Accepted). 4. M.G. Rouf, M. Ahammed, M.U. Ahammad and MR Rahman. 2015. Effects of cage Vs barn rearing system on early laying performance of pullets. Bangladesh Journal of Animal Science, vol. 44(3): 151-156. 5. M.R. Rahman, S.D. 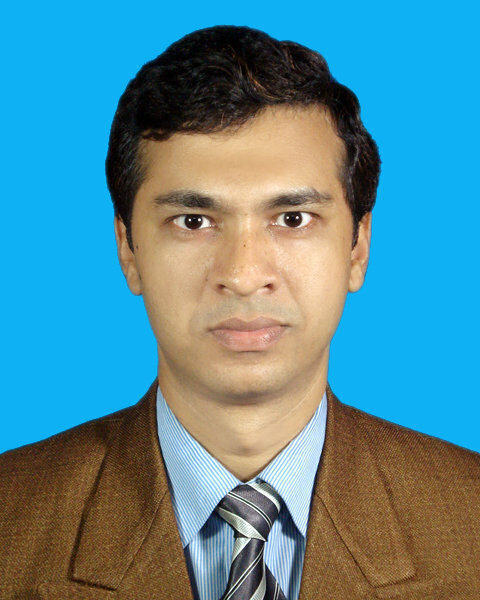 Chowdhury, M.E. Hossain and M. Ahammed. 2015. Growth and early laying performance of a broiler parent stock in an open-sided house under restricted feeding. Bangladesh Journal of Animal Science, 44(1): 40-45. 6. M. Ahammed, B.J. Chae, J. Lohakare, B. Keohavong, M.H. Lee, S.J. Lee, D.M. Kim, J.Y Lee and S.J. Ohh. 2014. Comparison of Aviary, Barn and Conventional Cage Raisings of Chicken on Laying Performance and Egg Quality. Asian-Australasian Journal of Animal Sciences, 27(8): 1196-1203. 7. M. Ahammed and S.J. Ohh. 2013. Effect of Housing Systems - Barn vs Cage on the First Phase Egg Production and Egg Quality Traits of Laying Pullet. Korean Journal of Poultry Science, 40(1): 67-73. 8. J.H. Lee, S.Y. Kim, J.Y. Lee, M. Ahammed and S.J. Ohh. 2013. Effect of Dietary Live or Killed Kimchi Lactic Acid Bacteria on Growth Performance, Nutrient Utilization, Gut Microbiota and Meat Characteristics in Broiler Chicken. Korean Journal of Poultry Science, 40(1): 57-65. 9. M. Abdullah-Al-Amin, M.S. Rahman, M.A.R. Howlider and M. Ahammed. 2009. Disposal of layer droppings reared in cage and impact on environmental pollution. Journal of the Bangladesh Agricultural University, 7(2): 281-290. 10. M.R. Haque, M. Habib, M.S. Rahman, M. Ahammed and M.S. Ali. 2009. Utilization of azolla (Azolla pinnate) in broiler diet with or without carbohydrase and phytase. Journal of the Bangladesh Society for Agricultural Science and Technology, 6(3, 4): 69-74. 11. B.C. Roy, S.D. Chowdhury, M.M. Rahman, C. Das, M. Ahammed and B.D. Chowdhury. 2008. Feeding Value of Raw and Moist Heat Treated Khesari (Lathyrus Sativus) in broiler diets. Indian Journal of Animal Nutrition, 25(2): 173-181. 12. M.K. Uddin, M. Ahammed, M.R. Rahman and M.A.R. Howlider. 2007. Effect of dwarf and naked neck gene on the egg production performance in tropics. Progressive Agriculture, 18(21): 115-121. 13. S.D. Chowdhury, Z. Sultana, M. Ahammed, B.L. Chowdhury, S.C. Das and B.C. Roy. 2005. The nutritional value of khesari (Lathyrus sativus) for growing and laying pullets. The Journal of Poultry Science, 42(4): 308-320. 14. M. Ahammed and S. Ahmed. 2005. Effect of periodic fasting on broiler performance. Progressive Agriculture, 16(1): 149-155. 15. M.E. Hossain, S.D. Chowdhury, M. Ahammed, M.A.H. Pramanik and M.R. Rahman. 2005. Growth performance of Kasila broiler parent stock reared on quantitative feed restriction under Bangladesh condition. International Journal of Poultry Science, 4: 153-158. 16. M.D. Hossain, M.E. Hossain, M.A.R. Howlider and M. Ahammed. 2002. Efficacy of different growth promoters as feed additives for broilers. Bangladesh Journal of Animal Science, 31: 75-81.